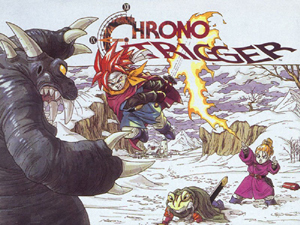 U.S. to Get Chrono Trigger DS Before Japan? The good news is that North America gets Chrono Trigger DS on November 25th, two whole days before Japan gets it on the 27th. The bad news is, in Japan, they get “CHRONO TRIGGER ORCHESTRA EXTRA SOUNDTRACKS” when pre-ordering the game. The CD contains two tracks, “Chrono Trigger Orchestral Version” and “Chrono Trigger Orchestral Medley.” We don’t get that. Posted on August 30, 2008 August 30, 2008 Author MikeCategories RPGTags Bonus, Chrono Trigger DS, DS, Japanese Release, Nintendo, Preorder, U.S. Release3 Comments on U.S. to Get Chrono Trigger DS Before Japan?